It’s been a while since I last posted, but all for a good reason. I’ve been busy making all of the last minute details to finish off the clothing shop that is opening soon! Along with this shop opening, there will also be some new items for you to wear around the island. Here’s a peek at some new items that you may see in the next coming updates. This entry was posted in Uncategorized on February 18, 2015 by Alex. The Christmas Party is finally here! New items! There’s a variety of new accessories waiting for you to give them a try! New Kingdom Island Profile (KIP) Interface! Enjoy the new snowy interface while you browse through your messages and the feed! New decorated room! For the first time ever the Theater has been decorated for this special occasion! One of our users has made a very cool video with everything you need to know about the party! To check it out click HERE! And don’t forget to thank Duder for it! Also, be sure to follow our Twitter account (@KingdomIsland) where I’ll be hosting various contests/raffles throughout the month! This entry was posted in Uncategorized on December 12, 2014 by Bryan. With the new clothing shop underway, I feel it is time again for a clothing design contest! Just like last year, the winning design will be featured inside our game! This entry was posted in Uncategorized on December 1, 2014 by Alex. Clothing Shop to Open Soon! I hope you are all enjoying the new updates we have put together. As many of you have noticed, there will be a new room opening soon! Yes that’s right! The clothing shop is almost ready to be opened up! Here is a sneak peek of what is inside! The finishing touches are coming along and I’d love to hear some ideas you all have for this room. Some of your ideas may actually make it inside! This entry was posted in Uncategorized on November 18, 2014 by Alex. Over at the Kingdom Island’s Forum, Tony has asked players what 3 features they would like to see implemented to the game. Do not miss your chance to be heard; one of your suggestions might just make it to the game! If you wish to share your Top 3 Most Wanted Features CLICK HERE. Remember that you must have a Forum account before being able to post. This entry was posted in Uncategorized on November 14, 2014 by Bryan. The Team needs your help to test a new, rather large update that will take place very soon! 1. Create an account on the Kingdom Island Boards by clicking HERE. 2. Read the Beta Testing Application rules by clicking HERE. 3. Head over to the “Beta Testing Application” Forum by clicking HERE and create a “New Topic” with the information required. 4. If the Team sees that you are eligible to become a Beta Tester you will be contacted. P.S. Have you noticed the new spawning room in the game? I’m sure you have! The Theater has replaced the Harbor in being the central room. Rest assure that this WAS intended by the Team as we think the Theater is much better at being the central point in the game. This entry was posted in Uncategorized on November 11, 2014 by Bryan. “Create a Scene” Contest: Winners! First of all, I want to thank everyone who participated on the contest and made a great effort into creating their scene. We received dozens of entries and it was difficult for Mark and me to choose just 3 out of all of them. Nevertheless, winners must be declared. In 3rd place, winning 500 Silver: Window1581! We are really sorry for your situation. Hope you can find your father soon, little dragon. In 2nd place, winning 800 Silver: Joeyourock12! We particularly liked this one because it uses creativity and imagination to create the other character’s dialog, without having to edit the picture in any way. Good job! And finally, in 1st place, winning a Free HD version and 1,000 Silver: Light! Yes, you’re right, we’re not very good at scaring people. Maybe if you turned off the “Light” you would be more scared! No? Ok, nevermind. Thank you for participating. The winners have been awarded with their prizes already. If you didn’t win this time, don’t worry, there will be more contests in the future. P.S. Be on the lookout, there will be a Trivia party today! This entry was posted in Uncategorized on October 31, 2014 by Bryan. Hello Dragons, It is only fitting that a Halloween Party has a Halloween Contest! 1. You will create a scene on Kingdom Island that contains FOUR images. NO MORE, NO LESS. An example can be seen below. 2. Images CANNOT be edited in any way and they MUST include numeration. 3. You can combine the four pictures into one like I did on the example, but it is not a requirement. This is why the numeration is important. 4. You can use dialogue bubbles, emotes and costumes to your advantage. 5. The scene must include AT LEAST ONE Halloween room and must have a Halloween theme. 6. Only YOU can participate in your scene. The help of other dragons by participating in your scene is not allowed. 7. All pictures must show your player’s name. 8. You MUST create a title for your scene. 9. Only ONE entry per player. 10. ALL KINGDOM ISLAND RULES APPLY. ENTRIES THAT FAIL TO FOLLOW THESE RULES WILL BE DISQUALIFIED. 1. The subject must be “Create a Scene Contest”. 2. The body must have your player’s name and the title of your scene. 3. The e-mail must include your pictures as attachments. 4. NEVER SEND PERSONAL INFORMATION LIKE ACCOUNT PASSWORD. 1. First place will win a FREE HD version for iOS and 1,000 Silver. The winner of this prize will be e-mailed before the HD version code is sent out. If you do not have iOS, already have the HD version or you simply DON’T want it, you can e-mail back to exchange the code for an extra 200 Silver. Further details will be sent to the winner. 2. Second place will win 800 Silver. 3. Third place will win 500 Silver. Send your entries BEFORE Tuesday, October 21, 2014. Any entries sent on October 21 or after WILL NOT be accepted. The winners will be announced on Halloween. This entry was posted in Uncategorized on October 14, 2014 by Bryan. Today we had our FIRST Trivia Party! What is the FIRST rule on the Rule Book? ANSWER: Improper use of chat. What EXCLUSIVE item is available during Halloween? ANSWER: Scarecrow costume. What EXCLUSIVE color can you get with the HD version? ANSWER: Yellow. 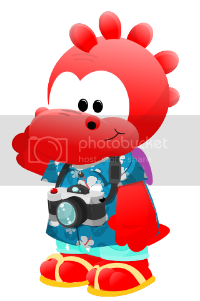 Who is the MOST daring dragon in Kingdom Island? ANSWER: Daren. In what month did I (Fano) join Kingdom Island? Found in my player card. ANSWER: May. BONUS QUESTION: There’s a hidden image on the Blog. Who’s on the image? ANSWER: Spinno. To see the post with the secret image CLICK HERE. Winners got a follow from me on Kingdom Island. The bonus question winner was awarded with 200 Silver in addition to the follow. Furthermore, those who had won and were the first ones to answer another question correctly got 200 Silver. This entry was posted in Uncategorized on October 11, 2014 by Bryan. Halloween Party 2014 and much MORE! The Halloween Party is here! Spooky decorations, cool costumes and much more! The 4.1 update is full of surprises that you don’t want to miss! Decorated rooms with scary and fantastic looks! And last but not least, a new Kingdom Island Profile (KIP) interface. The black screen should fit perfectly for all your Halloween needs! I should also tell you to visit the Theater, but I won’t. Be sure to check our Twitter page (@KingdomIsland) regularly because I’ll be hosting Trivia parties on Kingdom Island during certain days. Don’t fret, the parties will be announce with certain anticipation. FREE Kingdom Island HD on your iOS device! Silver! Mines and mines of Silver! A “follow” from ME on Kingdom Island! A “follow” from the official Kingdom Island Twitter! You don’t want to miss any of that, right? Be on the lookout then! This entry was posted in Uncategorized on October 10, 2014 by Bryan.